What are the best books you’ve read in 2014? What are your thoughts on the books on my list? Let me know in the comments section below! I haven’t read any of the books on your list so there’s not much I can say Actually, I’ve read one – Fangirl. I didn’t really like it though. Half Bad was really good 🙂 I am looking forward to reading the next book in the series! HALF BAD is on my list too. It was so good. 1984 is such as fascinating book. I’m hoping to re-read it this year. Haven’t read any of your books though The Rook is on my TBR. I’ll get to it, at some point. 🙂 Thanks for sharing! Here’s my Favorite Books of 2014. 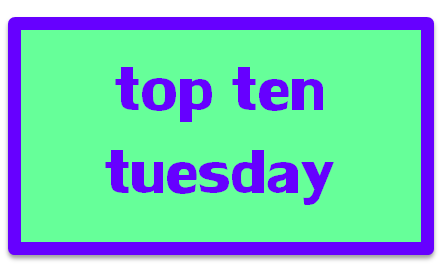 Two of those (Beloved and The Handmaid’s Tale) are personal favourites so I’m glad they turned up on your top ten list…I’m looking forward to reading Fangirl too! I didn’t really like Fangirl though I definitely loved Eleanor & Park. All the other books on your list look rad so I’m definitely going to check them out. Great list!